PSF is collaborating with Intel Education Initiative in organizing Science Fairs by providing support of its outreach program ‘Science Caravans’ in all Provinces of Pakistan. 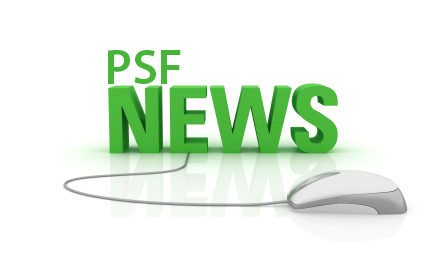 The winner students of Intel Fairs are also awarded cash prizes and certificates by PSF. Services of Scientists as Mentors and Judges is another important facet of this collaboration. PSF also collaborate with FDE and other partners for organizing Science Excel Camp and interaction sessions to tap the students for Science Projects. 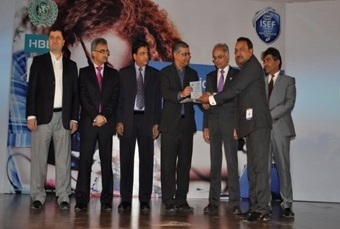 During the closing ceremony, Intel highly appreciated the PSF support and acknowledged the services of Mr. Abdul Rauf, SSO/Coordinator PSF on his devoted services during the whole process of Intel Provincial and National Science Fairs. Appreciation Certificate and Intel Memento was presented by the Country Manager, Mr. Naveed Siraj. The awardee thanked Intel and PSF management on this occasion and vowed his best possible services for joint science promotional activities.